As 2018 gets underway, you may be feeling a bit behind on advancing your tech career and reaching your goals. However, it is never too late to take the steps needed to advance your career. We will discuss the top ten things that you can begin doing today to further advance your tech careers and push you to higher heights than you ever dreamed possible. Learning a new skill is one of the best ways to advance your career. The IT industry evolves faster than other types of careers; therefore, it is essential to stay up to date on the latest technologies. One of the easiest ways to do this is to enroll in a tech class. These classes can be found almost anywhere. For maximum effectiveness, take a class to help improve a personal weakness like network security or sub netting. In order to get ahead in the tech business, you must learn to make personal and professional connections through effective networking. Networking with other professional helps to improve name recognition and connections on all levels of the business. One of the best ways to enhance your online professional presence is to sign up and keep your LinkedIn profile up to day. Each time you make network, make sure that you connect on this business professional social media platform. When setting up your account, make sure that it includes information about your career, contact information, work history, schooling, etc. Many tech professional are so accustomed to working in a safety net, they avoid taking any risks. However, when you decide to stretch your wings and go into new territory, you can advance your career by leaps and bounds. Although new territory requires taking a risk, it can pay off in many different levels of your career. If you want to further your career, it is essential that you keep your resume up to date. With the latest technologies, it has never been easier to keep your resume up to date and handy. A thumb drive allows you to carry your resume wherever you go. Also, you no longer have to keep your resume in a .doc or .pdf file. Now, you can use HTML5 to create interactive resumes that can be given to others at anytime. Using this technology and creating an interactive resume is essential to anyone who is in the tech field. As you can see from this post from Redline there is serious advancements taking place. You must learn how to present yourself to others if you want to get ahead in the tech field. Many IT professionals spend so much time alone that they lose the ability to socialize and network. Therefore, you must make a concentrated effort to hone those skills. This can help you get your foot in the door of the company that you have always dreamed of working at. Practicing your presentation will help you land that second interview. To help hone your skills, practicing talking with others and introducing yourself to strangers as these skill can help you appear to be eloquent and ready to handle anything a company may throw at you. Mentoring not only helps you pay it forward, but also offers you many ways to advance your skills and career. When you mentor another person, you are getting to practice on of the most important skills needed to be a successful IT professional – helping others. When you become a mentor, your confidence levels will increase, you will feel more comfortable talking with others, and let’s face it, it looks really good on a resume. By showcasing your desire to help others, you can increase your desirability at the top companies. Many IT professionals are unhealthy. Their lack of exercise, poor dietary choices, stress and lack of sleep can make you unhealthy in body and mind. In order to be on top of your game, you must remain healthy. Start slowly and begin exercising a few times a week, eating more healthy and practicing stress relief technique to help you improve your health and your career. If you have been in the IT field for any amount of time, you have probably become accustomed to wearing button up shirts and khakis. Many IT professionals continue wearing the same clothes for years. Ask a significant other, family member or friend if your clothing is out of date. If you have been wearing the same clothes for more than five years, it is time to go on a shopping spree. Purchase an update suit, some new dress pants and button up shirts to help you stay current. Finally, don’t forget about your hairstyle. Visit a stylist and ask for the latest professional hairstyles to refresh your overall look. Setting goals is one of the best ways to advance your career; however, setting unrealistic goals can actually set your career back. Instead, take time to set an attainable goal that stretches you but is not impossible to reach. For example, if you have spent your career as a help desk tech, it may be out of your reach to become a master network security professional quickly. If that is truly your goal, you will need to make smaller goals to help you reach this milestone. 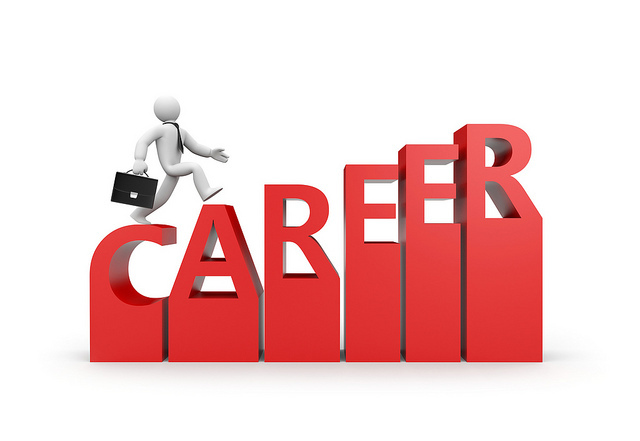 It is important that you take the time to determine what you want to get out of your career. Do you want to become the head of your company’s IT department? Would you like to work for a large scale business? Do you want to venture out on your own? Determining where you want your career to go can help you determine the steps you need to take to reach your goals and advance your tech career.